On a day where they’ve announced that they’re remaking Lethal Weapon (remaking Lethal Weapon ?? Really?) you’re probably wondering why I’m writing yet another article telling you what you SHOULDN’T do. But here’s the thing. I was reading away last weekend, burning through script after script, each one in a different genre, becoming more and more frustrated as each script ended. And I was wondering why I was getting so worked up. I go through bad stretches of scripts all the time. It eventually turns. So why was this bothering me more than usual? And I realized that in each script I’d read, some basic common mistake was being made. These weren't unique problems that only pop up once every hundred screenplays or so. These were genre-specific mistakes that I see over and over again. So I thought, hey, if I knew the number one mistake to avoid when I started writing a screenplay, wouldn’t that give me an advantage over other writers? So lo and behold, that was the genesis for this article. I marked the 15 most popular genres and the most common mistakes I run into while reading those genres. Other readers may have different experiences, but this is mine. So either silently curse me for pointing out, once again, what NOT to do in a script, or use this advice to topple your competition. Here we go! PERIOD PIECES – Number one mistake I see in period pieces is writers getting lost in their work. We’re cutting to a king in France and a peasant in Russia and a little known uprising in Austria and dozens of years pass and the old characters die and new characters are born and blah blahblahblah blah blah blah. Jumping around to 15 different characters in 18 different countries for 2 and a half hours isn’t going to entertain a reader. It’s going to frustrate them. Instead, find the focus in your period piece. Make the main character’s journey clear. The King’s Speech is about a King who must overcome his speech impediment before giving the most important speech in the country’s history. It’s clean and it’s simple. If you do want to go “sprawling,” remember this: The more sprawling you get, the clearer your main character’s goal has to be. So the story of Braveheart encompassed dozens of years, but the goal (obtain freedom for his country) was always as clear as day. DRAMAS – Many writers believe drama is a license to lay everything on thick as molasses. Cancer, death, car crashes, disease, abuse, addiction, depression. If you have more than a couple of these going on in your drama, consider taking them out now. Dramas are at their best when they pick and choose which moments to explore, not just hurl it all down in one giant depression sundae. It’s a delicate balance and by no means easy to navigate, but I always subscribe to the theory that less is more in drama. ZOMBIE/SERIAL KILLER/ROM COMS – What the hell are all three of these doing in one category? That’s easy. All three inspire the same problem. Writers never do anything fresh with these genres. Zombie: Group of people gets chased by zombies, usually in a city. Rom-Coms: Boy meets girl, boy loses girl, boy gets girl again. Serial Killer: Serial killer leaves cryptic puzzle behind for detectives to try and figure out. I see these plots over and over and over again. You have to come up with a fresh angle! Look at Zombieland . They added comedy, silly rules, a voice over, and a road-trip story to the genre. It was fresh. Look at 500 Days of Summer . It mixed the whole damn relationship up. As for serial killers, I don’t have an example for you because since Seven NOBODY has done anything new with the serial killer genre (NOTE TO ALL SCREENWRITERS: IF YOU WANT TO CASH IN, FIND A FRESH ANGLE FOR THE SERIAL KILLER GENRE). Remember, all three of these markets are super-competitive. So beat em by coming up with something new. SCI-FI/FANTASY – Most new writers get into sci-fi and fantasy for the wrong reasons. They’re more interested in the macro than the micro. In other words, they care more about the world than their hero’s journey. I remember reading a really ambitious incredibly detailed sci-fi script that didn’t have a lick of story to speak of, and the writer’s one big question to me afterwards was, “Do you think the disappearing mech suits on page 25 are realistic?” Of all the questions they could’ve asked, they didn’t want to know, “Was my main character’s motivation strong enough?” Or “Do you think the connection between these two characters worked?” but if a singular tiny sci-fi geeky machine that had nothing to do with the rest of story was realistic. This is representative of how writers think of these scripts. They’re focusing on the wrong things. Focus on the character’s journey first (The Matrix is more about Neo believing in himself than it is about cool wire-fu) and everything else will follow. COMING-OF-AGE – Coming-of-Age is a commonly encountered amateur genre because most writers are in their 20s when they begin writing. Naturally, they start writing about their own confusing directionless lives. Unfortunately, this confusion almost always translates to NO STORY! The writer feels content to just let their character wander about, experiencing life and all its eccentricities, believing that the “realness” of the journey will be enough to capture the audience’s imagination. It isn’t. It just makes everything directionless and boring. If you want to write coming-of-age, give your script a hook and a story just like any other genre. A perfect example is Everything Must Go – very much a coming of age story, but structured so as to keep the story on track and so we always know what’s going on. COMEDY and HORROR – I’ve said this a million and one times on the site. The biggest mistake comedies and horror films make, is to focus on the laughs and the scares as opposed to character development. Comedy and Horror plots don’t tend to be that complicated, which is fine. As long as you have a good hook, you’re okay. But the characters in these scripts are a different story. The audience *has to connect* with them in order for the script to work. Yet writers refuse to dig any deeper into those character’s lives than the width of a tic-tac. So figure out what makes your hero tick. What are they afraid of? What’s their biggest flaw? Then use your story to explore that flaw. 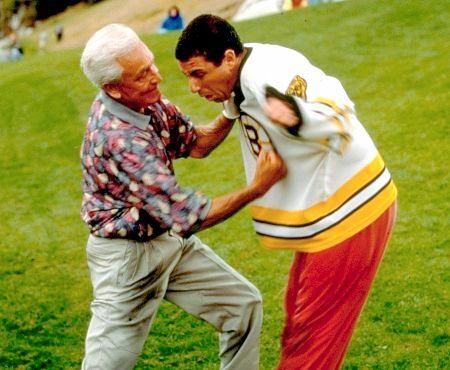 Happy Gilmore had major anger issues. The story was just as much about him learning to overcome that anger as it was about winning at golf. WESTERNS – Back in the heyday of Westerns, the world moved much slower. People had more patience, more time. That’s not the case anymore in this information-overload Twitter-centric multitasking world. So you have to update the way you approach the genre. By far, the biggest problem I see in Westerns is that they move too slow. So speed things up a little bit. Develop your characters faster, get to your story sooner, add a few more twists and turns to keep the audience interested. I’m not saying you have to use Scott Pilgrim pace (though that might be interesting), I’m just saying that the Westerns I read these days assume the patience of yesteryear. Guess what? It's not yesteryear anymore (and yes, I’m aware of the hypocrisy of this statement, seeing as I’m such a Brigands of Rattleborge fan, however I’m going to call that script the “When Harry Met Sally ” of the Western world - a great big exception to the rule). ACTION – The big thing with action flicks is the propensity to depend on clichés. Action writers are almost by definition uninterested in character development, and luckily the action genre is the least dependent on that area of writing, so you can actually get away with it. But if your script is just rehashing all the clichés we’ve seen in action movies of the past (a snappy line when disposing of a bad guy, the girl gets kidnapped by the villain in the end, the bad guy is bad for no reason) then you’re not trying hard enough. Some of these things can be done tongue-in-cheek effectively, but even that’s becoming cliche. The reason that the Bourne movies became so popular was because they updated the creaky action formula of the James Bond films, adding a mystery (a character who didn’t know who he was) making the story more sophisticated and taking itself more seriously. It was different, and that difference lured us in. SPORTS – Cliché endings. Amateur sports scripts always end up with some variation of being down by 3 runs with two outs in the bottom of the ninth, and the bases loaded. Then our hero hits the grand slam. It’s sappy, it’s predictable, it’s stupid. You have to find some other way. Look at Rocky . Rocky didn’t knock out Apollo to win the heavyweight championship of the world. He just lasted 15 rounds with him. Bull Durhum and Field of Dreams are considered two of the best sports movies of all time and yet there’s no “last at bat” scene. Find a unique way to end your sports story that doesn’t rely on the cliché last minute goal or home run. BIOPIC – You’ve heard me drone on about this before. Biopic writers notoriously get caught up on the “best of” or “key” moments of the title character’s life, instead of looking for the most *dramatically compelling* moments of that person’s life. In addition to this, the biopic, more than any other genre out there (since our hero IS the genre) needs to have a *compelling character flaw. * Focus on the events in that person’s life that challenge that flaw and that’s where you’re going to find your story. So if your subject’s flaw is a fear of connection, then place him in a bunch of situations where he’s forced to connect with others. If doing this means leaving out the 3rd most famous moment from that person’s life, then leave that moment out. THRILLER – The amateur thrillers I read don’t have enough story developments. The writer erroneously assumes that keeping the pace of the story up is all he has to do. But if you don’t throw us for a loop every once in awhile, if you don’t up the stakes, bring in a new character, force your character to deal with unexpected problems, then your thriller’s going to run out of steam. Just try to make sure something interesting happens every 15 pages or so. 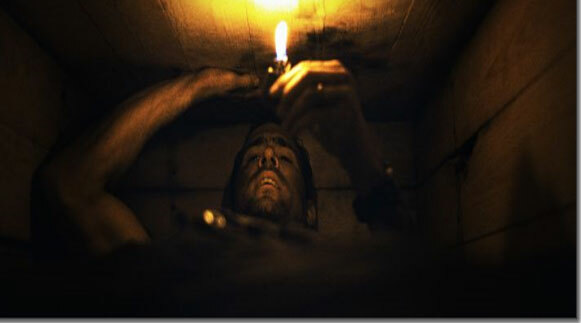 In Buried , we have the bad guys wanting him to make a video, we have the good guys needing his help to find him, we have snakes, we have sand seeping in. Some new story development is always happening to keep the story alive. Make sure you’re packing the same amount of story density into your thriller. What's Going On With Kevin Smith?